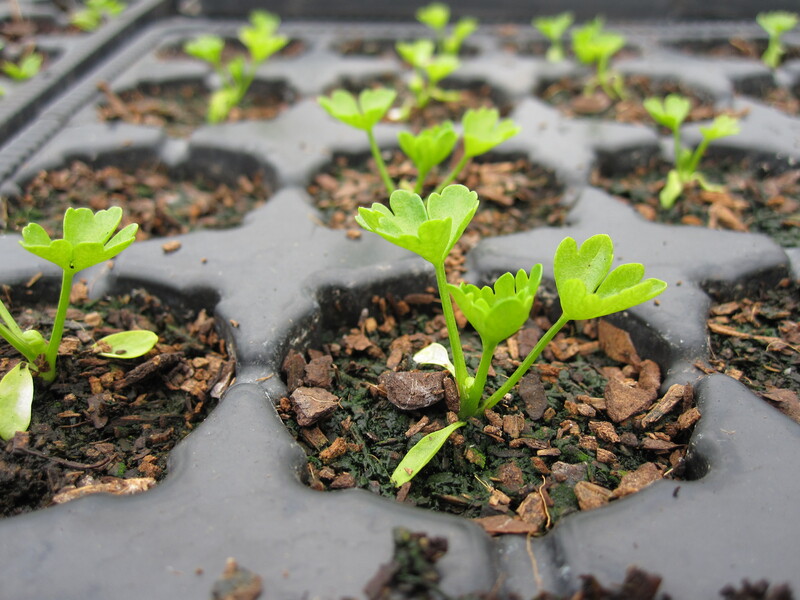 Celery seedling sown on 17th March 2015 as part of the Really Wild Veg growing trials. Finally the weather is warming up and seed sowing for the 2015 set of Really Wild Veg trials is now complete. This project, now in its third season, is using growing trials to explore the potential value of a series of Scottish native plants that are the wild ancestors of some familiar vegetables. What we want to know is whether there is evidence that the wild plants contain useful traits such as disease resistance, better flavour and nutritional benefits. At harvest time productivity is weighed, pest/disease incidence scored and taste assessed. Samples are then sent to the Rowett Institute of Nutrition and Health in Aberdeen for analysis. This involves measuring the concentrations of a set of phytochemicals that are known to help prevent dieases linked to diet and lifestyle such as certain cancers, diabetes and heart disease. This year the focus is very much on the carrot family with two species being grown. We wanted to repeat the trial with carrot (Daucus carota) as for various reasons we failed to collect enough useful data last year. The final straw was an unplanned (and unauthorised) harvest to make a carrot cake! No names mentioned, but we will be making it much clearer that this is an experiment this time. 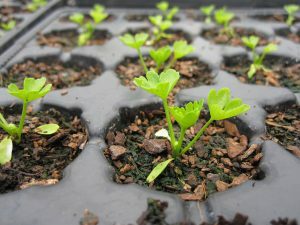 The other crop in the carrot family we will focus on is celery (Apium graveolens). Members of the carrot family provide us with many herbs and vegetables, but among its ranks are some highly toxic plants. So, even though the distinctive grouping of flowers into umbels is very easy to recognise, budding foragers need to take particular care with their identifications. 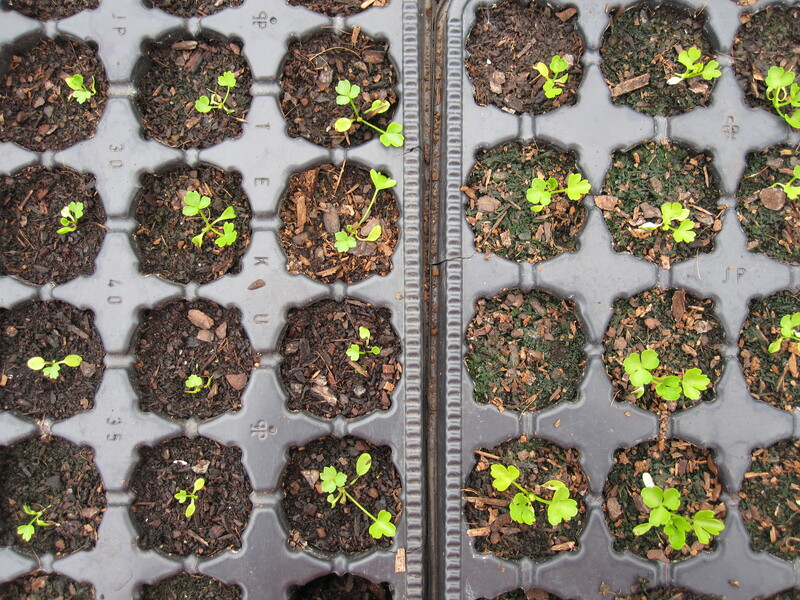 As in previous years the trials are comparing between the wild species, a heritage variety and a modern F1 hybrid in which two elite strains have been crossed. The theory behind F1 hybrids is that the vigour often associated with hybrid plants results in greater yield. The evidence from previous years does seem to provide support for this. The gardens helping us with these trials are Hermitage Vegetable Garden and Redhall Walled Garden, both in Edinburgh, and Cruickshank Botanic Garden in Aberdeen.